There is no right or wrong way to process grief–it’s an individual experience. The length of time someone grieves over a missing loved one can be influenced by many factors, such as age, maturity and family background, along with their state of physical and mental health. Lower Cape Fear Hospice is dedicated to providing extensive resources on free grief counseling and grief group counseling sessions for families who have been touched by a significant and devastating loss. One of the many ways we help members of the community cope is through our Family Days programs. 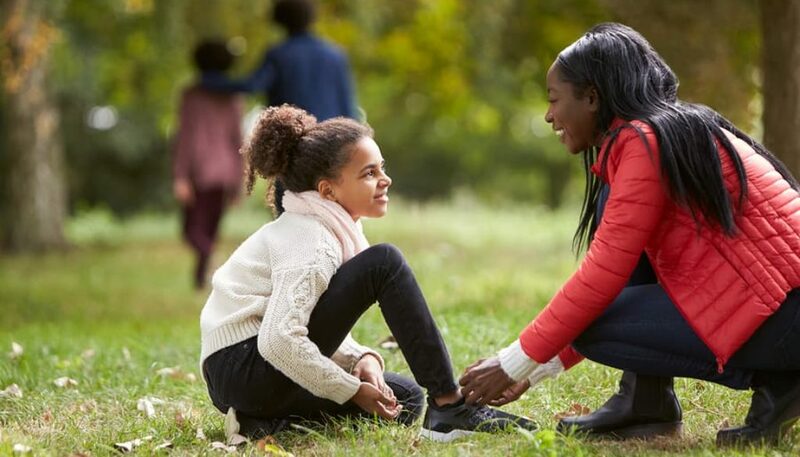 Family Days are special opportunities that allow you to spend extended time around other families who are also struggling with grief and loss. We welcome young people of all ages, although they must be accompanied by a parent or guardian in order to participate. These Family Days are held in Brunswick, Columbus, Horry and Onslow counties. The event is free, but pre-registration is required. You can view a list of upcoming Family Days or other events on our calendar. Write a letter to your deceased loved one, expressing your feelings and emotions. Journal or create a scrapbook about special moments you shared. This may be particularly helpful in capturing your parent’s legacy. Speak to someone you trust and don’t keep your feelings bottled up inside. You may wish to share your thoughts with a member of the clergy, a friend or relative. Prepare for recurring grief, especially during birthdays or holidays. Lend an ear to others who may be experiencing grief. Often, it helps to spend time with someone who is also experiencing great loss. For our hospice families, we provide a free Healing Journey Newsletter for 13 months after a patients’ death. 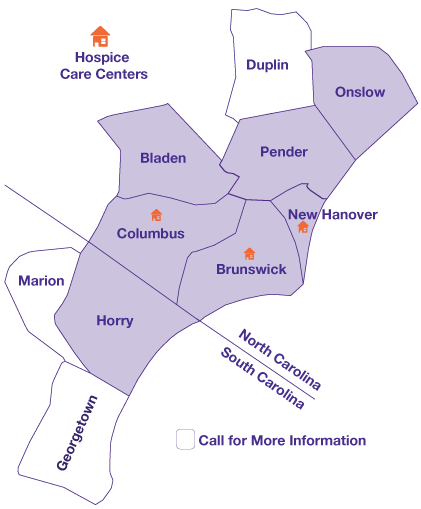 If your loved one has received services from Lower Cape Fear Hospice and you haven’t yet received your newsletter, please contact us at 910-796-7991. One of the things that sets Lower Cape Fear Hospice apart from other organizations is that we strive to be the main community educational resource for those facing life-limiting illnesses and those they love. We offer several free educational programs throughout the community, many of which are specifically targeted toward grief counseling and assisting veterans. If you know someone who could benefit from hospice care, or if you are struggling with the death of a loved one, you can contact us for information on how we can best serve you.